The Leatherman Piranha is a single-piece, multi-purpose pocket tool with stainless steel construction. The built-in rubber bit holder secures full size bits. 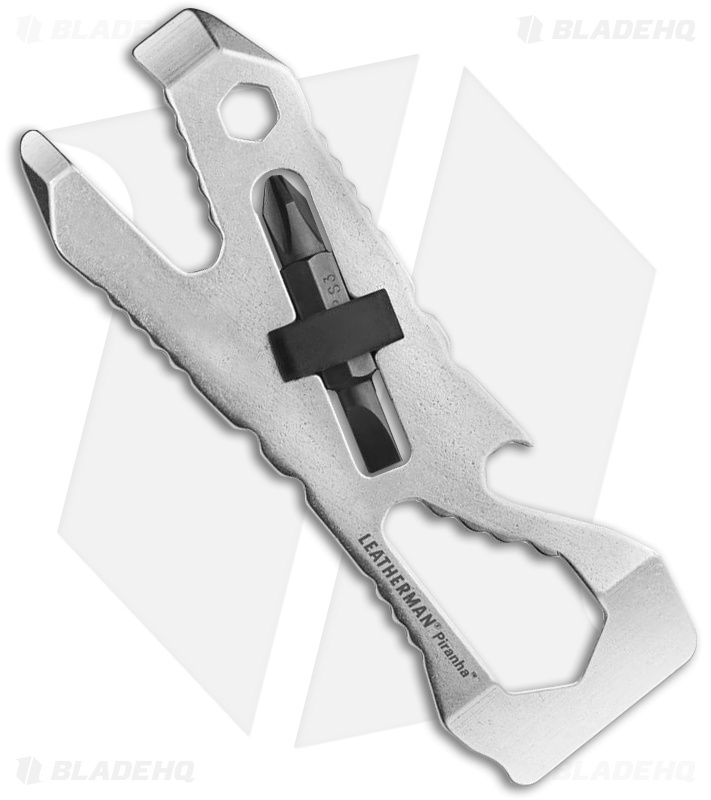 The Piranha is perfect for everyday carry, and it's also TSA-compliant so there is no need to worry about it when you board your next flight.